So, it’s summer. And what better way to spend the lazy days of summer than watching some SF/Paranormal and fantasy TV? Since I re-watched Sapphire and Steel last time- a show which requires some thinking-I decided to watch shows that didn’t require much thinking. After running across a list of ‘tacky’ shows of the ’80’s I thought it best to re-watch a few episodes of those I could get my hands on and test the tackiness. 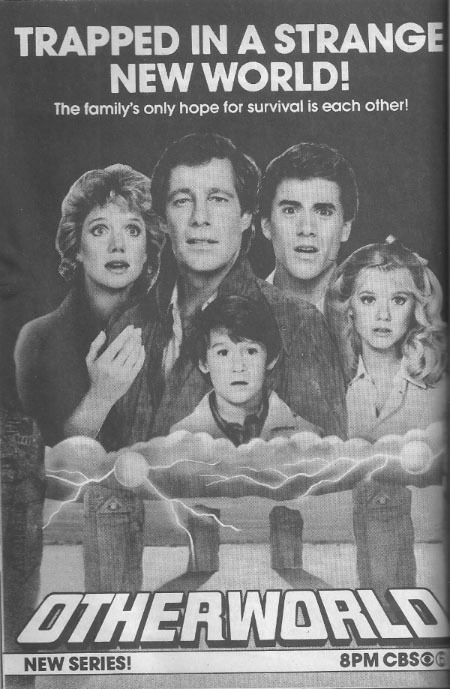 Whether you lived during the ’80’s or know it only through myth, legend, and syndication let’s take a look, shall we? I started off with THE PHOENIX, which actually turned out to be fairly good. I had vague memories of the show so it was interesting to watch a few episodes with a fresh perspective. Basically, it follows the discovery of an ancient astronaut, Bennu (played by Justin Scott) who is awakened/activated by an archeological team. He had a mission to find another called Mira, so he sets off across American-studying Native American ruins and looking for his purpose. All the while, he is pursued by the government. Bennu has special powers which he gets from harnessing the ‘powers of his mind’ via a special necklace with a phoenix symbol. THE PHOENIX was a decent show. There is quite a bit about Native American mythology, ancient Egyptian mythology, New Age thought, Ancient Aliens that kind of thing. Whether you believe any of it or not, it’s weaved fairly well in the show. The only thing truly tacky is the title and credits in all of it’s synthesized musical glory. 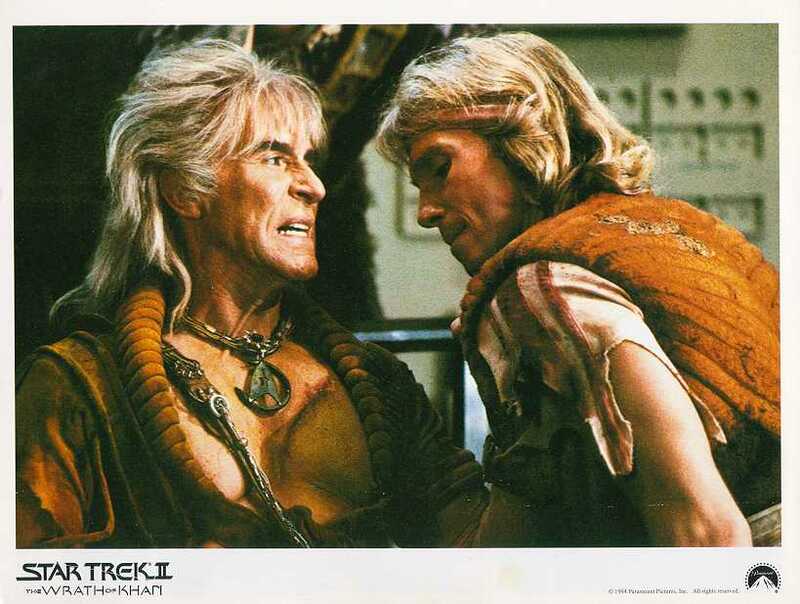 Justin Scott is probably widely remembered from THE WRATH OF KHAN. He plays the character of Bennu well. Most of these shows go overboard with the goofy or heavy handed messages, but this is quite nicely done. Just enough to make it interesting and it was a show with a lot of promise. Cancelled after one season, unfortunately, because it was far better than many shows that survived. I tried to watch THE HIGHWAYMAN. 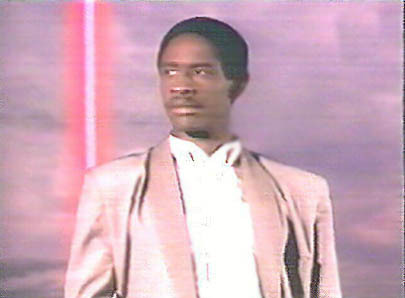 It’s got a young Tim Russ in it in his pre-Tuvok days. Like PHOENIX, it has the tacky title sequence and the synthesized music. It’s about a Highwayman, which is some sort of futuristic/enhanced law enforcement officer. 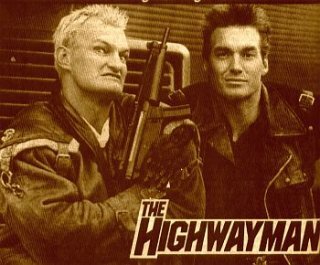 Anyway, the main character, called “Highway” solves various crimes and fights for justice with lots of shooting, and driving around the desert, and a special futuristic truck. Tim Russ plays a character named D.C. Montana who helps repair the truck and he has an Australian sidekick called Jetto (played by Jacko). The ‘Aussie’ sidekick was apparently the thing in the 1980’s. The show has been described as Mad Max meets Knight Rider. A group of outlaw cowboys from 1899 get caught in a lightning storm and time travel to the 1980’s. They start a detective agency to survive in the modern world and deal out ‘cowboy’ justice to greedy corporations and drug dealers.This involves horse back riding, cowboy hats, and shotguns. Definitely a tacky premise, but actually a rather cute show. Other than the premise there is no real SF element. 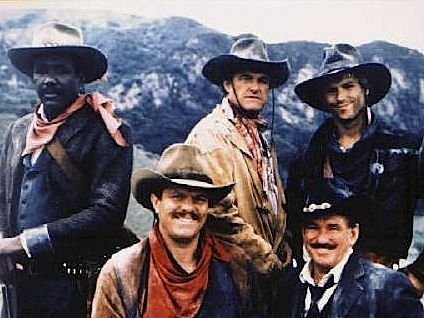 It’s mainly about watching old style western cowboys in the modern (1980’s) world with a few gags and some adventure. It’s a family friendly type of show-there’s always a message about doing the right thing; they always help those in need; and the bad guys are never killed-just wounded, caught, and handed over to the law. It’s clearly a tribute to all those TV westerns shows so I admit I had a soft spot for it. I remember watching westerns (in re-runs, I’m not quite that old) with my dad. BONANZA, GUNSMOKE, THE RIFLEMAN. And it stars Richard Roundtree. The original Shaft, baby. You can’t get better than that. Paydirt. This was truly tacky. An average American family made of two fumbling parents and three annoying kids wander through the pyramids and manage to get trapped in a parallel universe. Strangely, though they leave via the pyramids in Egypt (represented by a camel and a guide with a heavy accent) the parallel universe looks like the US. Anyhow, this new world is governed by different zones with different styles of living and a religion that worships robots or something. And zone patrol enforcers. And mind control rock music. And…oh, I gave up. Bad dialogue, jokes that fall flat, goofy effects, terrible costumes-and the fact that there never seems to be any real point to all of it. Cancelled after eight episodes. It’s fairly obvious why. I didn’t make it through the entire list. There is still MANIMAL, AUTOMAN, POWERS OF MATTHEW STAR, and STARMAN. Maybe next summer. So readers, any memories of these 80’s shows? Do you want these memories? And where exactly does one get an ‘Aussie’ sidekick? Is there an agency in charge of that? Aaaah! I remember “The Phoenix”! I don’t remember much about the show, other than “super powerful alien and Ancient Egypt and Native Americans and running and stuff” – but I remember being so excited that I jumped on the couch before watching it. I need more things that make me jump on the couch before watching. I love these blog posts. Going to have to take a peek now, too. Try Phoenix. Outlaws if you don’t mind westerns. Love this installment! 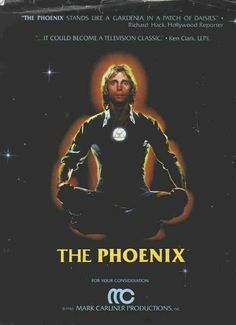 I recall watching “The Phoenix” and “The Outlaws.” The former was waaaay New-Agey and I came away wanting to do yoga. I really thought the latter show was goofy fun. If anything, the 80s were unapologetically… the 80s. New Age-y exactly! I worked at a new age shop once. I swear, I think the owner was Bennu. Did some summer TV watching! Speaking as an Aussie… hmmm, an Agency for Aussie sidekicks? I suspect it’s probably the Crocodile Dundee School of Dramatic Ratbaggery that supplies them.